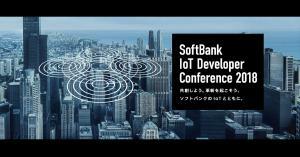 MINATO-KU, TOKYO, JAPAN, November 19, 2018 /EINPresswire.com/ — Takashi Sonoda, President and CEO of Uhuru Corporation (headquarters: Minato-ku, Tokyo), took the stage at SoftBank IoT Developer Conference 2018 hosted by SoftBank on November 7 (Wed). 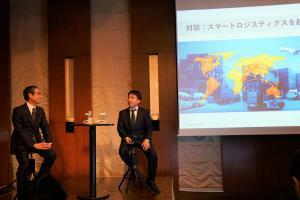 Guest speaker Hiromoto Fujitani, Vice President and Executive Officer of Hitachi Transport System Ltd (headquarters: Chuo-ku, Tokyo, President and CEO: Yasuo Nakatani), and Sonoda held a discussion on stage at one of the breakout sessions. 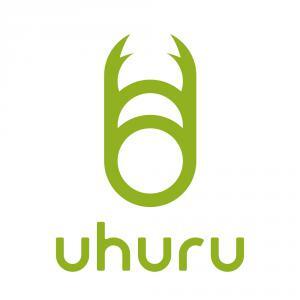 Hitachi Transport had announced business alliance with Uhuru* on October 22. Under the subject title “Beyond Smart Logistics”, the two speakers talked about methods of manpower reduction leveraging cutting edge technologies such as AI, IoT and robotics, as well as about specific use cases, to come up with solutions for supply chain management (SCM) as a whole.